Yikes- this plant desperately needs deadheading but who has time for that? Yes I get a lot of free plants. No, I don't like them all. Sometimes a promising plant early in the season like Lanai Twister Pink Verbena can win your heart and praise and then dash your dreams. 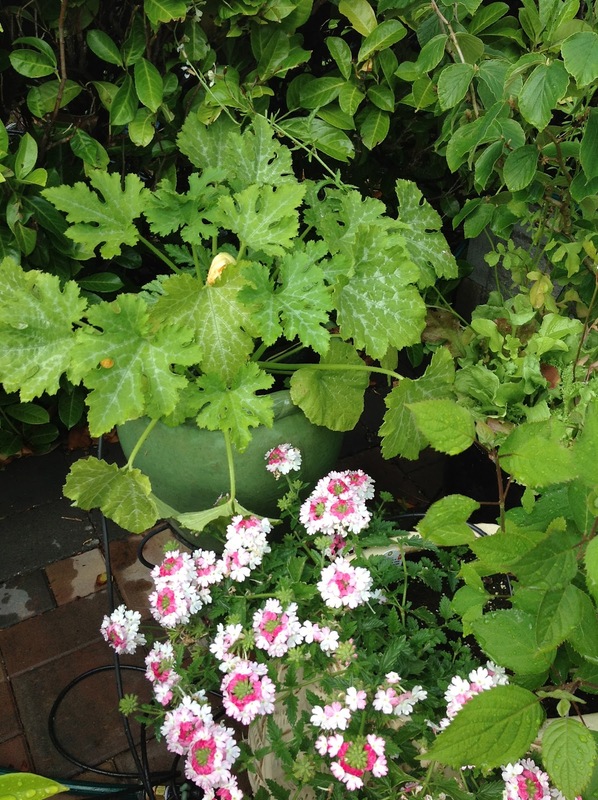 From late May until late June this plant was a winner- full of blooms and praise from all who saw it (see top photo). In a straw poll, everyone from 8-90 loved this plant. That was then. This is now. In August, after I had been away for weeks I got back to my west coast garden and saw how ugly this duckling had become. In garden speak we say this plant is not self-cleaning. It keeps all its old dead flower buds so unless you are an attentive garden always willing to deadhead, it looks bedraggled mid-summer. Superbells Double Ruby (at bottom) is only available in Canada!